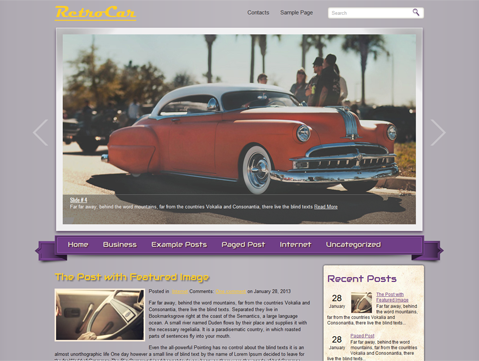 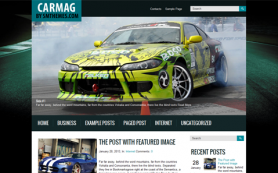 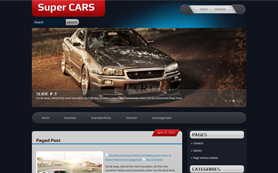 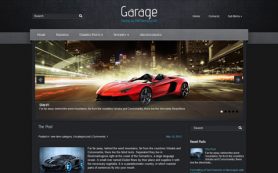 Stylish, clean and effortlessly impressive are just some words that describe the premium WordPress theme - RetroCar. 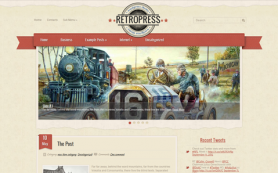 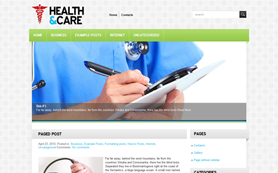 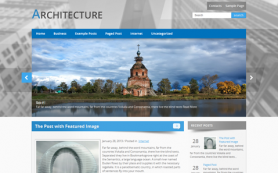 The free WordPress theme exemplifies the adage - “Old is gold”. 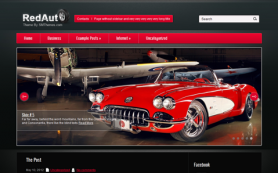 The design contains power-packed features and functionality that allows you to create an amazing retro-themed personal or creative auto blog. 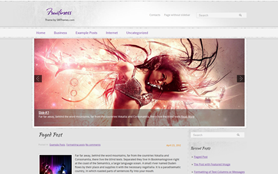 Purple is the highlight of this minimalist-design theme. 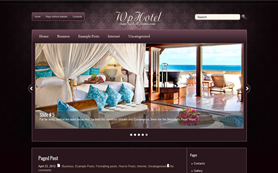 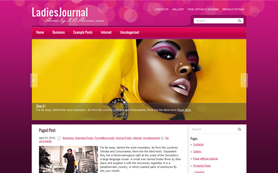 You can make easy customizations to the theme and benefit from its many exciting features at the same time. 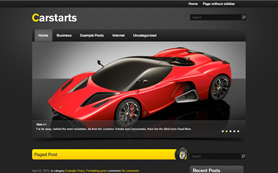 Downloading and installing the theme is easy as 1-2-3.